We are packing up the van and preparing for next weekend's art show in beautiful, Jackson Hole, Wyoming. 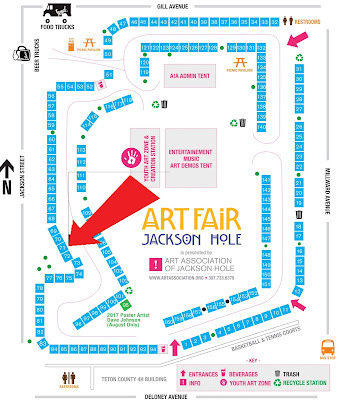 We are in booth #71 in the downtown park. This is the 6th show in our circuit of 7 in 2017. Our final show will be two weeks later in Salem, Oregon.